I'm happy to turn my blog over to Stuart R. West. He'd like to talk a little about his new book, ELSPETH THE LIVING DEAD GIRL. Or more accurately, about the voice within the book. Thanks so much, Kai, for having me on your blog. 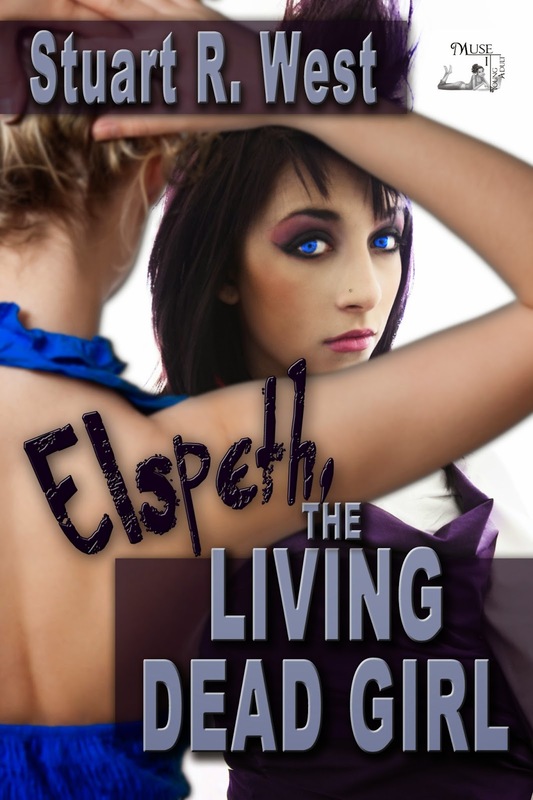 Elspeth the Living Dead Girl is my newest novel. One live girl, one dead, both sharing the same body. It’s complicated. Elspeth is a take no prisoners tough gal, dead, plucked from Limbo to take over Elizabeth’s body to bring down a high school drug dealer. On the other hand, Elizabeth is an ice princess, a future dominator of the world. All she wants to do is marry Prince Charming, make a couple million bucks, and most importantly, become prom queen. Very different agendas. You know, I’m probably not the most logical choice to be the biographer of these two very different teen girls. I’m a 53 year old male. What do I know, right? But as Elizabeth channels Elspeth, the two girls pretty much channeled through me as well. All of my past protagonists have been male. 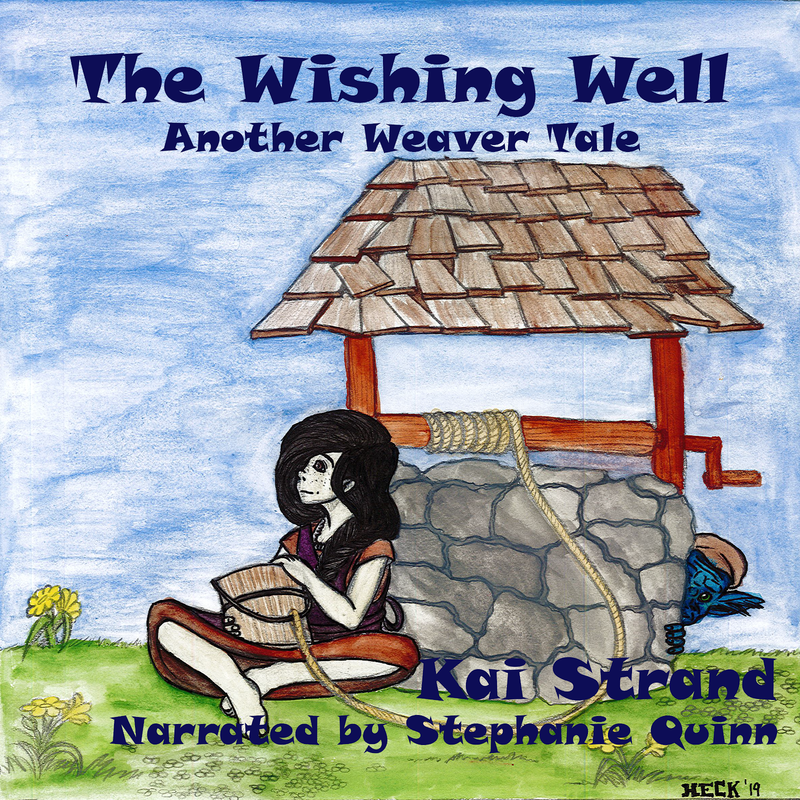 This book was daunting to write, yet I had loads of fun writing this tale. The book’s told via a twin narrative of the teen gals. And they pretty much wrote themselves. I couldn’t stop them. Next up in my tutorial came the fine art of flirting, a true talent bestowed upon very few girls. Not only was it fun, but if done properly, it was an amazing way to get boys to do things for you. “Okay, Addie, how would you approach a boy?” I asked her at our initial training session. Addison snorted, attempting to cover the uncouth sound with her hand. “Wow…yeah.” I had totally earned the admiration in her voice. “Now you try.” It took Addison longer than two hours before she mastered the subtle, yet classy, sashay. And this was only the first lesson in how to deal with boys. A slow student, but I felt she’d be worth the effort. Did I capture it or not, you be the judge. But prepare yourself for mystery, comedy, drama, suspense, and, I hope, a few tissues as well. Having read (and loved) the book, I can attest to the fact that you nailed not only the flirting, but all the other teen-isms as well. Nicely done! Heather, I haven't read this one yet, but I love Stuart's writing. Glad you stopped by. Thanks Heather! I must say it was an interesting experiment. Now I feel the need to cleanse myself by writing a grown-up protagonist. I am so looking forward to reading this book. As soon as I catch up with my backlog. Love the cover too. Aren't Stuart's books great? It is always nice when you can just know you will like a new book from an author. Thanks for visiting, Beverly. Thank you Beverly. Hope you enjoy the book. Love this post! Got this one on my TBR list. Am I the only one who envies full-time book reviewers? 'Cause...I could read these great books so much faster if I was reading full-time. ;) Good to see you, Katie. Thanks for the kind words, Katie. And, thank you, Kai, for hosting me and the girls. Happy to have you, Stuart.